Find hotel near David Komakhidze Religiou ..
A unique example of charity for society, this is a tiny museum with just enough collection to call itself a museum. Efforts of a Batumi family - Komakhidze, this museum was established in 2004. Drawing several Batumi visitors, this Batumi attraction houses collections by the Komakhidze family, which includes - icons, statues, models of temples, murals, reliefs, photographs, sculptures and books, that enlighten you about Georgia’s history. 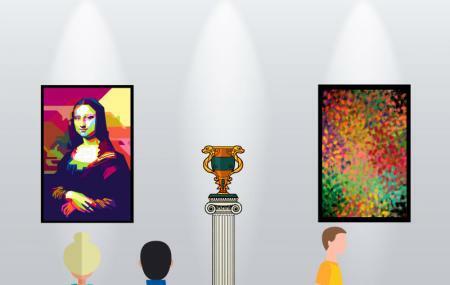 The museum will interest anyone and everyone irrespective of their beliefs or religion. How popular is David Komakhidze Religious Museum? People normally club together Church Of The Holy Spirit and Ilia Chavchavadze Monument while planning their visit to David Komakhidze Religious Museum.